The typical ketogenic diet, called the "long-chain triglyceride diet," provides 3 to 4 grams of fat for every 1 gram of carbohydrate and protein. 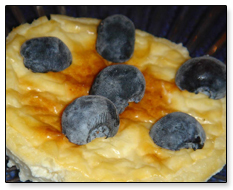 It is a high fat, low carbohydrate diet that has been in use since 1921. It is provided by a neurologist working together with a registered dietitian: the ketogenic diet should NOT be done without medical supervision. 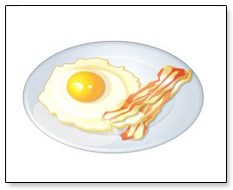 A ketogenic diet "ratio" is the ratio of fat to carbohydrate and protein grams combined. A 4:1 ratio is more strict than a 3:1 ratio, and is typically used for most children. A 3:1 ratio is typically used for infants, adolescents, and children who require higher amounts of protein or carbohydrate for some other reason. The kinds of foods that provide fat for the ketogenic diet are butter, heavy whipping cream, mayonnaise, and oils (e.g. canola or olive). Because the amount of carbohydrate and protein in the diet have to be restricted, it is very important that the meals be prepared carefully. No other sources of carbohydrates can be eaten. (Even toothpaste might have some sugar in it!). For this reason, the ketogenic diet is supervised by a dietician. The parents and the child become very familiar with what can and cannot be eaten. Today there are four kinds of dietary treatments: the classic ketogenic diet, the MCT (medium chain triglyceride) diet, the modified Atkins diet (MAD), and the low glycemic index treatment (LGIT). All of these have their role, which one to choose depends on your family and neurologist. The MAD and LGIT are typically started as an outpatient and lead to less ketosis, but in early studies appear to be similarly effective. Doctors usually recommend the ketogenic diet for children whose seizures have not responded to several different seizure medicines. Doctors seldom recommend the ketogenic diet for adults. That is changing however today. In the limited studies that have been done, the diet seems to work just as well, although it is very restrictive for most adults. We often use the modified Atkins diet for adults. The ketogenic diet has been shown in case reports and case series to be particularly effective for some epilepsy conditions. These include infantile spasms, Rett syndrome, tuberous sclerosis complex, Dravet syndrome, Doose syndrome, and GLUT-1 deficiency. Using a formula-only ketogenic diet for infants and gastrostomy-tube fed children may lead to better compliance and possibly even improved efficacy. The diet works well for children with focal seizures, but may be less likely to lead to an immediate seizure-free result. In general, the diet can always be considered as long as there are no clear metabolic or mitochondrial reasons not to use it. Typically the diet is started in the hospital. The child usually begins by fasting (except for water) under close medical supervision for 24 hours. For instance, the child might go into the hospital on Monday, start fasting at 6 p.m. and continue to have only water until 6 a.m. on Tuesday. The diet is started at that point, either by slowly increasing the calories or the ratio. This is the typical Hopkins protocol. There is growing evidence that fasting is probably not necessary for long-term efficacy, although does lead to quicker onset of ketosis. The primary reason for admission in most centers is to monitor for any increase in seizures on the diet, ensure all medications are carbohydrate-free, and educate the families. Several studies have shown that the ketogenic diet does reduce or prevent seizures in many children whose seizures could not be controlled by medications. Over half of children who go on the diet have at least a 50% reduction in the number of their seizures. Some children, usually 10-15%, even become seizure-free. Children who are on the ketogenic diet continue to take seizure medicines. Some are able to take smaller doses or fewer medicines than before they started the diet, however. The time when medications can be lowered depends on the child and the comfort level of the neurologist. Evidence suggests it can be done as early as the diet initiation period safely in many circumstances. If the person goes off the diet for even one meal, it may possibly lose its good effect. So it is very important to stick with the diet as prescribed. It can be especially hard to follow the diet 100% if there are other children at home who are on a normal diet. Small children who have free access to the refrigerator are tempted by "forbidden" foods. Parents need to work as closely as possible with a dietician. A person starting the ketogenic diet may feel sluggish for a few days after the diet is started. This can worsen if a child is sick at the same time as the diet is started. Make sure to encourage carbohydrate-free fluids during illnesses. There are no anticonvulsants that should be stopped while on the diet. Medication levels do not change while on the diet according to recent studies. Early on, the doctor will usually see the child every 1-3 months. Blood and urine tests are performed to make sure there are no medical problems. The height and weight are measured to see if growth has slowed down. As the child gains weight, the diet may need to be adjusted by the dietician. If seizures have been well controlled for some time, usually 2 years, the doctor might suggest going off the diet. Usually, the patient is gradually taken off the diet over several months or even longer. Just as happens if seizure medicines are stopped suddenly, seizures may become much worse if the ketogenic diet is stopped all at once. Children usually continue to take seizure medicines after they go off the diet. In many situations, the diet has led to significant, but not total, seizure control. Families may choose to remain on the ketogenic diet for many years in these situations. Butter, mayonnaise, heavy whipping cream, olive oil, canola oil, eggs, bacon, chicken, ground beef, green vegetables, strawberries, blueberries, almonds, cheese, avocado, tuna fish, lettuce, artificial sweeteners, mushrooms, hot dogs, sausages, macadamia nuts. The modified Atkins diet was created in 2002 as an alternative ketogenic diet to ease the restrictiveness of the ketogenic diet. Today it is widely studied, especially in adults and adolescents. It is still very high fat, with carbohydrates (any) reduced to 10 grams/day for children and 20 grams/day for adults. Fluids, protein, and calories are not restricted and patients are started in clinic rather than in the hospital. The Low glycemic index treatment is a dietary treatment for epilepsy started in Boston at at the Massachusetts General Hospital. It is still predominantly high fat and low carbohydrate, but the primary difference is that carbohydrates are specified to only those with glycemic indicies less than 55. 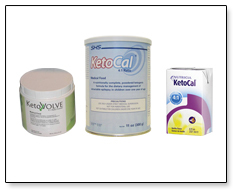 It may be advantageous to those patients considering a ketogenic diet, but for whom the high fat cannot be tolerated. In preliminary studies it appears to be effective. Rachel was born on May 8, 2000 and she was a beautiful baby. She had missed a few milestones around 6 months old and began to slowly fall behind. By her 18 month check up the pediatrician suggested that we take her to be tested because she was about 6 months behind on some of her physical milestones and her speech & language was delayed. I wasn�t too concerned because I have a son who is 10 years older than her who had been a little slow with milestones who is extremely bright. We took Rachel for testing and they gave us a diagnosis of Global Apraxia of Speech and told us that Speech Therapy, Occupational Therapy, and Physical Therapy should help Rachel catch up with her peers. 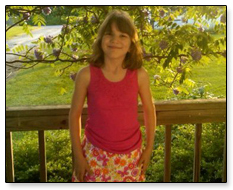 She began therapies at age 19 months and did well in all areas except for speech. On March 25, 2006 I put Rachel down for a nap. She usually slept for at least an hour and a half when she napped but that day my husband asked me to go check on her after only an hour so I did. When I opened her door I saw her with her little feet bound tightly in the sheets and her head on the floor in a pool of saliva and blood. I was terrified. She was stiff and it looked like she wasn�t breathing, her skin was grey. Later I was told this was Status Epilepticus. This word was one I�d never heard before; it soon became part of our everyday vocabulary. This first episode of Status Epilepticus lasted over 10 hours before it was brought under control. Little did we know that during the 10 hour Status damage was being wreaked on her brain and she was being changed forever. Before this, Rachel had two seizures but our pediatrician had assured us that they were both febrile seizures and nothing to worry about. The first one was when she was 2 years old and the second was when she was 4 years old; we had believed our pediatrician. This was a nightmare we were plunged into that didn�t seem to end. Our daughter, who prior to the 10 hour status was only a little slow, was now a lot slow. Before we took Rachel for a second opinion we took her to our Church and asked the Pastor to anoint her with oil and pray and the whole Church gathered and prayed for her to be healed. God told me He would heal her of the seizures and He would be glorified. We had started with a hospital in DE where she had been treated initially after the first 10 hour Status and decided to seek a second opinion in Baltimore at Kennedy Krieger where we had already seen a neurologist once; so we set an appointment. She was given a diagnosis of Idiopathic Complex Partial Epilepsy. After only a few months with Kennedy Krieger it became apparent that Rachel�s epilepsy was too complex to be treated by a neurologist, she needed an epileptologist. We were referred to Dr. Vining at John�s Hopkins Pediatric Epilepsy Center. Dr. Vining and Dr. Hartman were both wonderful. They tried many different AED�s (Anti Epileptic Drug) alone and in combination but none of them worked for any length of time. She failed over a dozen AED�s. She was medication intractable. 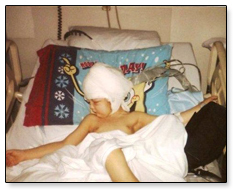 By November 2006 we began talking to Neurosurgery about possible grid surgery and resections for the seizures that were starting as complex partial and generalizing too frequently. She was having tonic clonic seizures that required rescue meds at least 3 times a week. In November 2006 she was admitted to the EMU (Epilepsy Monitoring Unit) for Video EEG�s and there was a focal area for the seizures, her Left Temporal Lobe. She was a surgical candidate. Things took a very bad turn December 26, 2006 when she went into Status Epiletpicus and was put into the hospital for a week until she could be stabilized. We had been hospitalized many times during the 9 months since our roller coaster nightmare began but this was different, her 02 saturation wouldn�t stay up and for the first time I was concerned that maybe she might not pull through. We were discharged sometime in January 07, I don�t remember how long we were in but it was about a week. When we got home things were different; her seizures were much more intense and frequent. She required rescue meds almost daily. There is a point where you become used to things but there was no getting used to this. This would have taken her life had it continued. She grew continually weaker and she was either seizing or postictal. She was having 25-35 cp seizures a day and several tc seizures daily as well. We were just waiting until the surgery date. Finally, February 22, 2007 came and we turned our beautiful child over into the very capable hands of Dr. Jallo. The grid surgery revealed a large area of her Left Temporal Lobe, Amygdala and Hippocampus that needed to be removed. On March 1, 2007 they began the resection. She was only able to tolerate the resection of part of temporal lobe before they were forced to close her up. She was seizure free for 10 days. They had told me they would need to go back in to do more surgery so this was not unexpected. The second resection took place on May 3, 2007. They removed her amygdala and hippocampus as well as more of the temporal lobe but they once again told me they would need to go back in for more damaged tissue at a later date. This time the seizures stayed away for 6 weeks before they came back. I was heartbroken. The surgeries were a success though; after she had the resections she only had complex partials. She no longer had the tonic clonic seizures. She was having 20-30 CP seizures a day and was on 5 AED�s when the decision was made to try the Ketogenic diet. In November 2007 Rachel was admitted to John�s Hopkins and she began the Ketogenic Diet. We met Dr. Kossoff and he asked us what our expectations for the Diet were. We�d be told we were just there to give Rachel�s brain a chance to �cool off� before they could go back in and do some more surgery. We told Dr. Kossoff that we believed this was how God would heal Rachel. He immediately took her off one AED in the hospital bringing our AED count down to 4. While Rachel was being initiated onto the Diet she had multiple seizures and actually needed rescue meds during the stay. I remember Gerry Harris reassuring me at the Parent Meeting, I was so thankful for someone who had a child on the Diet telling me it would be okay. The day we were discharged Rachel had 27 seizures by noon! I was told to take her home and just being home would help her not have as many seizures. I thought that was ridiculous. Unbelievably, they were right! After only 6 weeks she was doing great and by 6 months she was seizure free. At our 6 month appointment we began weaning medicine. Things went very well! I think even Dr. Kossoff was surprised! Rachel loved the food on the Diet but more than that she became more lucid as the medicine cleared from her system. I was seeing my daughter again. She had lost so many skills from the damage caused by the seizures that to see her begin gaining ground was awe-inspiring! One day at Church in 2009 I had a very worried teacher come to get me and she told me she accidentally gave Rachel a sippy cup of apple juice. APPLE JUICE! I completely flipped out! I took her home preparing for the impending seizures I just knew were coming but they never came. Later I emailed Dr. Kossoff about our incident and he said it was actually a good sign that maybe Rachel was ready to be weaned off the Diet. So we began weaning in November 2009 and she completed the wean February 2010. There were no problems at all with it (I was nervous but apparently that isn�t a problem) and she hasn�t had any issues since. Back in 2006 when we began this journey God told us He would heal Rachel. He used the Ketogenic Diet to do it. I�m so thankful for John�s Hopkins and the Ketogenic Diet.